Ant problems around the house can be a real hassle. Nobody enjoys waking up in the morning to discover that ants got to the cereal box before the kids could have breakfast. Dealing with an ants starts by knowing that along with bees and wasps, ants belong to the order Hymenoptera. Unlike bees and wasps, which are further divided into multiple families and genera, ants are represented by one family, Formicidae. Also, while wasps and bees can also be categorized into solitary and social groupings that describe their living and reproductive strategies, all of the different types of ants are classifies as social insects that live in colonies. The so called solitary ants are really colony members, out scouting for food sources. Fortunately for homeowners with ant infestation problems, understanding ant life, and consequently how to effectively deal with problems is relatively easy. Like the social wasps and bees, in their simplest form, ant colonies consist of three types of ants: queens (the reproducing females), workers (non-reproducing females) and drones (reproducing males). Homeowners who see the workers in action need to take steps to eliminate the entire colony. 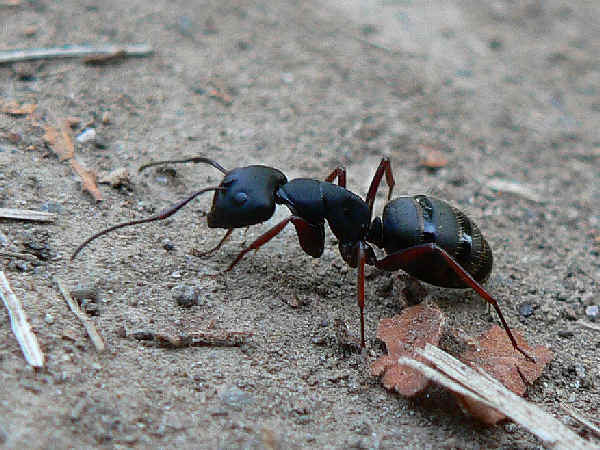 Carpenter ants, for example, create potential pest problems around the United States because they nest in wood, including wood around the house. A large colony of carpenter ants in a house poses danger to the structural integrity of the building. Often professional help is necessary to deal with them. Another large group of ants, such as Cornfield Ants, Pharaoh Ants, Lawn Ants and Odorous House Ants, among others, pose different kinds of problems in and around the house. In large numbers they can be pests, however they typically do not cause structural damage to buildings. Usually this group can be controlled rather easily by using a commercial bait. Once applied, the bait attracts many ants, potentially worrying many unsuspecting homeowners. That’s usual. With a bit of patience, the ants carry the bait back to the colony, ultimately resolving the problem. While all ants bite, the bites of most common house ants do not represent a potential health concern for the average individual. The same can not be said for fire ants, an aggressive species that inhabits much of the Southern United States. They build ground nests with dome-shaped tops. Inadvertently stepping on, or near, a nest often results in multiple bites for the unsuspecting person or animal.Pound for pound, their venomous bite produces a painful sting. 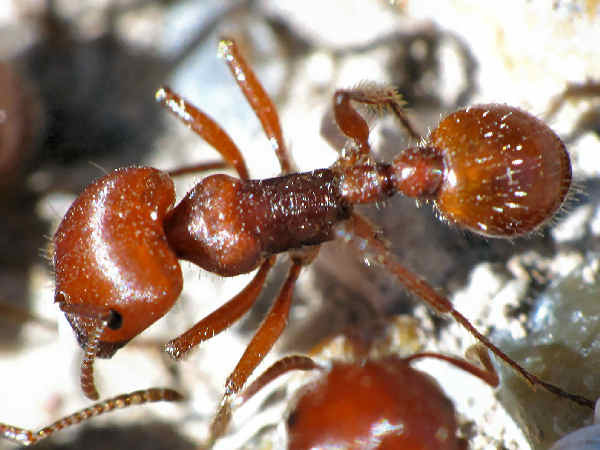 Because they live in colonies, victims of fire ant bites face high odds of being bitten multiple times. Victims with severe fire ant allergies face a potentially life threatening situation in multiple bite instances. Experts suggest multiple bite victims seek medical help as soon as possible. Identifying the specific ant species causing any problem represents the necessary first step for pest management. Local agricultural extension services offer advice on the types of ant species common in any given area. In the insect world, names can sometimes be confusing. The Mutillidae family, more commonly known as Velvet Ants, are actually wasps with hairy bodies. Females do not have wings and can easily be mistaken for Formicidae species.Sixteen Mutillidae genera, live on North American soil, especially sandy soils. Population levels peak during the summer season and female nest building. 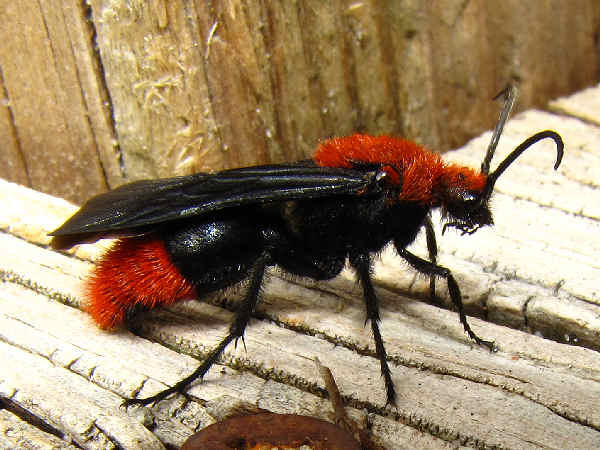 The red body signals danger, and the sting of many species ranks among the most painful stings in the wasp family.The Cow Killer perhaps the most recognized velvet ant, often makes the wasp legend list. Sometimes the name Cow Killer applies to any one of the fifty or so native Dasymutilla species. Cow Killer also refers to a single species, Dasymutilla occidentalis.